Welcome to Weston CT Little League! 10:30am player arrival time at Gate 8. We will meet on 164th Street right near corner of River Avenue next to Gate 8. All WLL players wearing jerseys will parade the warning track while being welcomed to Yankee Stadium on the jumbo Tron! Parents who are not going on the field can walk down after entering Gate 8 to the first row to take pics. Any child that walks on the field will be given a post card with the ability to redeem vouchers for another game. Hurry and buy your tickets now, limited number of tickets available! 1) Only one registration per family is required. Just indicate number of tickets on the registration. Online ordering is a pre-order service that allows parents to place their orders online prior to photo day (Note: this link will expire at the end of your final photo day for this season, anyone wishing to order photos must do so on or before photo day and bring an e-ticket with that order to photo day). Online ordering is the easiest way to order photos and offers families advantages that aren't available on our traditional forms, such as the FREE Low-Res Digital Image with online orders. Online ordering also helps cut down on errors and improves the flow of photo day. Recently, major carriers like Verizon have begun throttling text message reminders to their customers, delaying or deleting texts sent from LeagueAthletics.com. Verizon in particular has asked us to drastically reduce the number of texts we send going forward. In addition, we've received complaints from parents, coaches and administrators about the volume of text messages being sent to them for events in their websites. To increase sending efficiency for urgent and serious messaging, we will discontinue sending text reminders for Practices only, and change notifications for Practices sent via text message will only be sent if the change is made within 48 hours of the event’s start time. Below is a table that outlines the changes. *Reminders are messages that are automatically triggered by the system and sent without any user actions. Notifications are messages sent when an event is added or changed. With pre-season practice underway and the season officially opening this weekend, we'd like to remind you of the parking and drop-off procedures at Bisceglie. There is no drop-off, pick-up or parking of cars anywhere along the upper roadway of Bisceglie Park at any time (games or practices). The entrance in and out of the park needs to remain clear of stopped or parked cars at all times. It’s a safety issue for the players crossing the road and we need to keep cars moving in the upper roadway. Player drop-off and pick-up should take place in the lower parking area; please do not stop along the roadway, by the handicap spaces or the portables to let players in/out of your car. All cars must be parked in the parking lot. There are several handicap parking spaces available for those cars with a valid/current handicap parking permit - no exceptions! We appreciate your support in adhering to these rules for the safety of all our players, pedestrians and motorists. I'd like to alert you to potential products that may aid in the safety of our children. These products are not mandated by Little League National of Williamsport, so Weston Little League is not mandating them, but our board thinks that you should at least know about them so you can make your own informed decision whether or not to purchase them for your children. First, there are batting helmets that come with a facemask. When worn properly, these facemasks prevent the batter from taking a hit to the eyes, nose or mouth from a batted or thrown baseball. The second is a simple mouth guard. Again not mandated by Williamsport, but some leagues are suggesting them. The last is a "heart guard". These are often T shirts that have a protective plastic shield which prevents a child from taking a direct hit to the heart from a batted or thrown ball. All of these items may be purchased online or at local stores. Please consider this email in the spirit that it was sent. All sports have the potential for injury of one type or other. The safety of your children is our number one priority, the play is secondary. 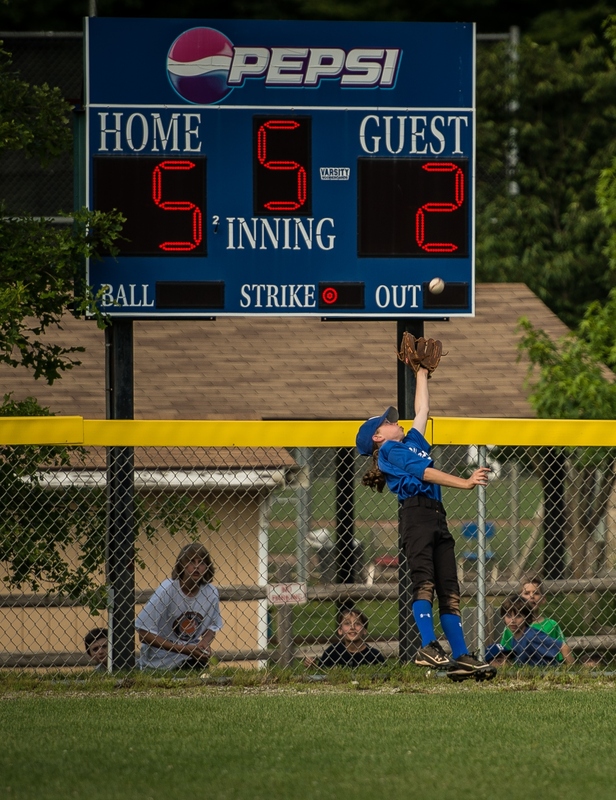 Your little league board has developed many practices over the years that try to ensure safety. You may elect for your child to use one or more of the items listed above to prevent an injury. That said, it's going to be a wonderful season. HOW CAN I GET EMAIL AND TEXT EVENT REMINDERS? When you log in, your family profile will appear. You will see all family members and the programs each member has been registered in. You will now get an email and/or text messages to remind you of games and practices for your team. You are now on your TEAM page! · Select SCHEDULE to see your team schedule. It’s not about you, it’s about them. Do not live your own sports dreams through your kids. It’s their turn now. Let them make their own choices, both good and bad. Never talk to a coach about your child’s play time after a game. Actually you never should. You should have your kid do that. That said, if you just can’t help yourself, send an email the next day and ask for some phone time. NEVER yell at referees. They are trying. How would you like it if someone came to your job and screamed at you? Not. So. Much. If you have a real issue file a grievance the next day. Do NOT coach your kid from the sideline. Your job is to be a cheerleader, not a coach. If you wanted to coach, you should have volunteered. It is EXTREMELY UNLIKELY you are raising a professional athlete. I promise you. Relax, let them have a good time and learn the lessons they are supposed to be learning in sports. Kids should play the sport that is in season until they are in middle school. Then they can decide which one or two sports they want to play and become more focused. Cross training prevents injuries and burnout. If you have nothing nice to say, sit down and be quiet. Don’t be “that” parent. If you are losing your mind on the sideline of game, it’s time to look in the mirror and figure out why. It’s not normal to care that much about sports. Put that energy into something more productive. Let them fail. Forgotten equipment, not working out, not practicing at home? Let them suffer the consequences of that. It will make them better. Your kids are watching you. Make them proud not embarrassed. He stands at the plate, with his heart pounding fast. The bases are loaded, the die has been cast. Mom and Dad cannot help him, he stands all alone. A hit at this moment, would send the Team home. The ball meets the plate, he swings and he misses. There’s a groan from the crowd, with some boos and some hisses. A thoughtless voice cries, “strike out the bum.” Tears fill his eyes, the game’s no longer fun. So open your heart, and give him a break. For it’s moments like this, a man you can make. Please keep this in mind, when you hear someone forget. He is just a little boy, and not a man yet.